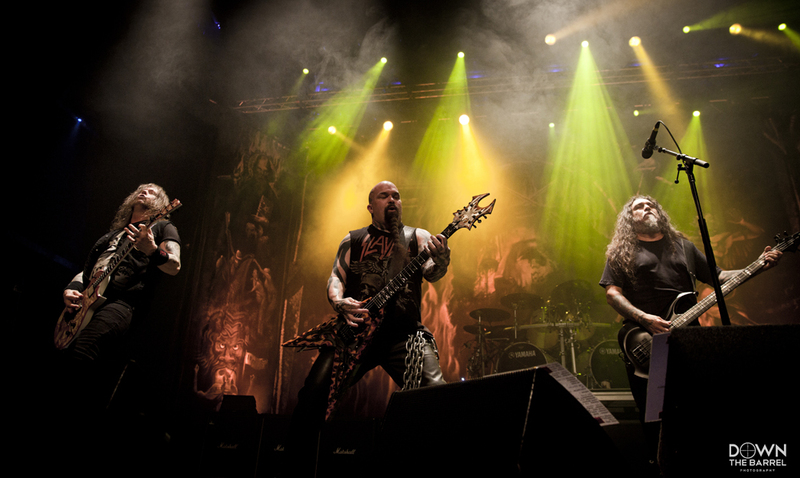 SLAYER CONFIRM FINAL WORLD TOUR. DETAILS HERE…. Can you imagine a world without Slayer? Well, it may seem like a situation that we’re all going to have to come to terms with sooner than we imagined. 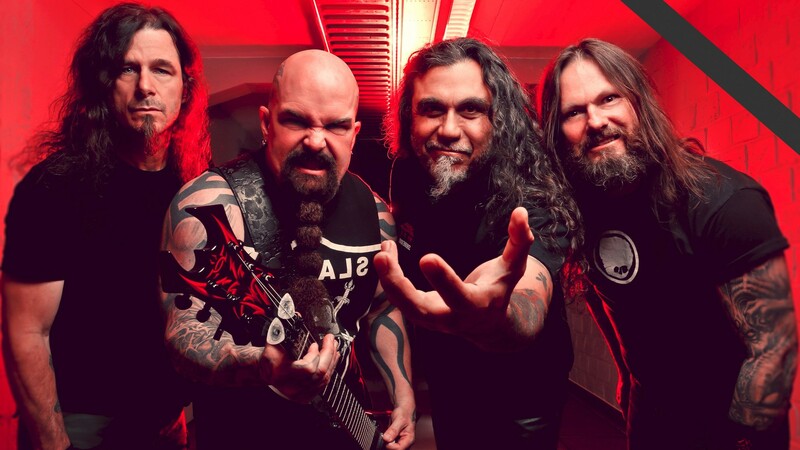 SLAYER is rumoured to be planning to hit the road in North America this summer, with support from LAMB OF GOD, ANTHRAX, TESTAMENT and BEHEMOTH. The run of dates is expected to be officially announced later this week. In a recent interview, it is reported that SLAYER bassist/vocalist Tom Araya commented about his possible retirement in a 2016 interview with Loudwire. He said: “At 35 years, it’s time to collect my pension. [Laughs] This is a career move.” He continued: “I’m grateful that we’ve been around for 35 years; that’s a really long time. So, yeah, to me, it is. Because when we started off, everything was great, because you’re young and invincible. And then there came a time where I became a family man, and I had a tough time flying back and forth. 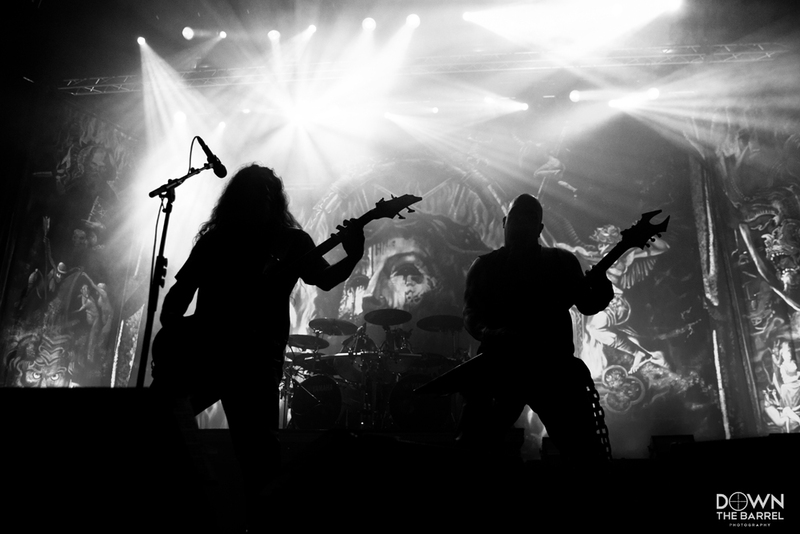 SLAYER has been touring in support of its latest album, “Repentless“, which was released in September 2015 via Nuclear Blast. That effort marked the band’s first release since the death of SLAYER’s co-founding guitarist Jeff Hanneman. Hanneman contracted necrotizing fasciitis, also known as flesh-eating disease, in January 2011 from a spider bite in his backyard. The infection ravaged the flesh and tissues of Hanneman’s arm, leading to numerous surgeries, skin grafts and intense periods of rehab that forced him into semi-retirement and left him near death at several points. Hanneman eventually died in May 2013 from alcohol-related cirrhosis of the liver. He is credited for writing many of SLAYER’s classic songs, including “Angel Of Death” and “South Of Heaven“. Original SLAYER drummer Dave Lombardo was effectively fired from the band after sitting out the group’s Australian tour in February/March 2013 due to a contract dispute with the other members of SLAYER. He has since been replaced by Paul Bostaph, who was previously SLAYER’s drummer from 1992 until 2001 and recorded four albums with the band.